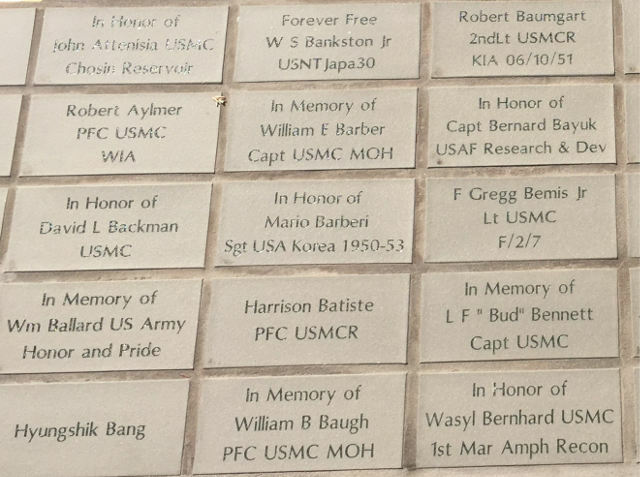 For those of you who wanted to sponsor a commemorative tile at the Korean War Memorial, but learned that no more were available, we have some good news. 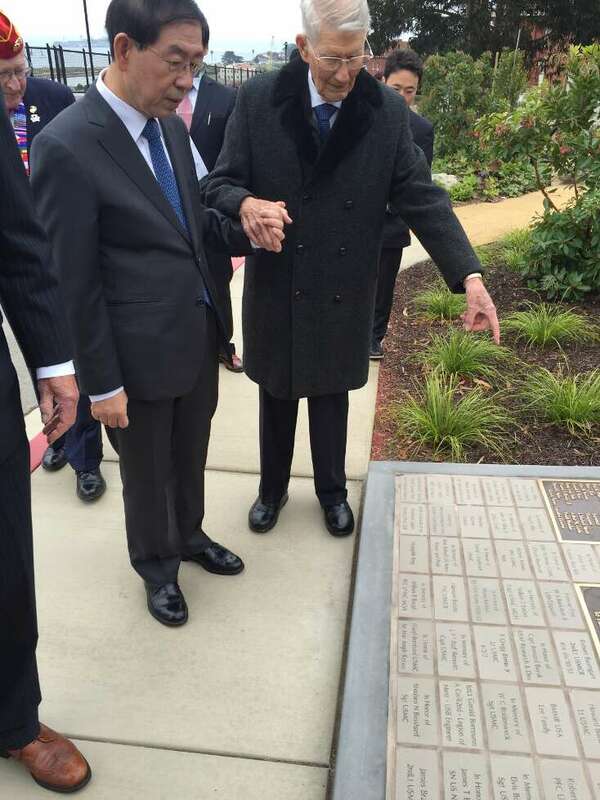 The Presidio Trust has authorized KWMF to accept requests for 72 additional 4″ by 8″ tiles, to be mounted on one final wall panel at the Memorial. Chris will provide you with additional details on number of inscribed lines, number of characters and spaces per line, and any additional information you require. 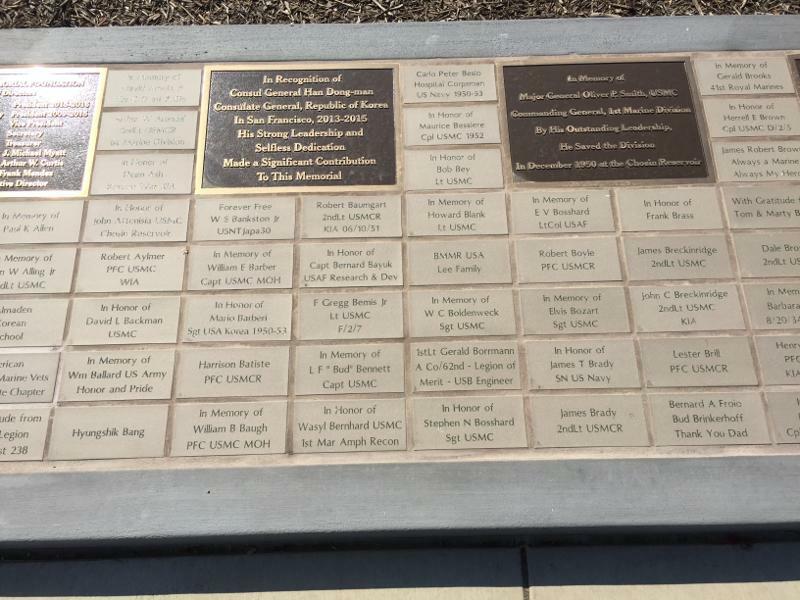 Please see the attached image of sample tile inscriptions.